On February 16, 2010, I first gave a speech titled “Hyperinflation: A Statistical Inevitability” at a charity event in Dallas, Texas. In essence, the talk was a “warning” that unless the growth of the nominal debt versus nominal GDP changed to a more normal balance, the US would “eventually” suffer from hyperinflation. 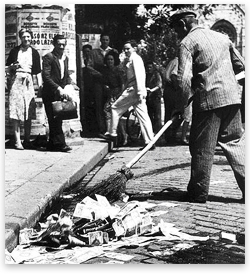 Hyperinflation is a debt problem whose root cause is when a country’s level of debt rises to a level that when its economy goes into a deep recession (or depression) the country cannot borrow money or raise enough taxes to cover its expenditures, and therefore it is forced to print money to cover a greater percentage of its expenditures than the markets and investors think is sustainable. This concludes in the country’s inability to pay the interest on its debt, which progressively consumes its overall budget, causing the country to continue to print money to pay its ever increasing debts and interest thereon, which ultimately leads to a loss in confidence in its currency, ending with hyperinflation as the result. Editor: Note the difference between inflation and hyperinflation (hyperinflation is NOT just an ultra-high rate of inflation) See links below. My original speech was based on the 2010 Congressional Budget Office’s Budget and Economic Outlook Fiscal Years 2010-2020. At the time, total US debt was growing at an unsustainable rate of 11.90% compounded from 2006 -2010 (fiscal years) while gross GDP was growing at a nominal rate of 2.75%. 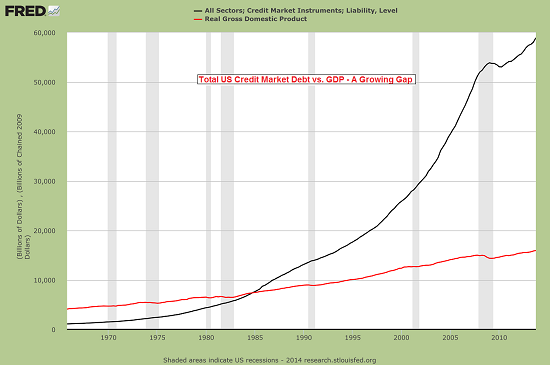 Debt was increasing at 4.3 x’s higher than growth. Clearly, this was an unsustainable situation. Further, the reason that I state hyperinflation will occur “within” the next 10 years has a logical basis. If one takes the position that the net debt will grow at 5% a year, total U.S. debt will be $27.324 trillion in 10 years (not including current off-balance sheet items or unfunded liabilities). As the CBO does not project total U.S. debt, only public debt, the $27.324 trillion figure is based on my projection. Now, what will interest rates be in 10 years? The CBO says an average yield is 4.6% (CBO 2/13 Report page 5), but let’s assume it reverts to the mean for bills and bonds of the last 52 years, or from 1961, which was 6.01%. Assuming that spending increases 5.08% a year from 2014-2023 (CBO 2/13 Report page 3), they say annual spending will be $5.082 trillion in 2023 net of annual interest. However, annual interest in 2023 on my projected $27.324 trillion total U.S. debt (using the historic average interest rate of 6.01%) will be $1.642 trillion, or 32% of projected 2023 annual spending without interest and 24% of projected 2023 annual spending with interest. Today, interest is 6% of the budget. Therefore, one has to ask the question, where does the approximately 20% difference come from? I believe U.S. bond holders will sell what they own, the U.S. dollar will decline, and the Fed will print money at a rate that will make today’s Fed look like they are Shaolin Monks. I am interested to hear from readers how the U.S. will AVOID hyperinflation assuming our current trends continue. What will politicians try to avoid default. What do YOU think? Yamana valuation to be posted Friday. Graham said that investors should stay away from growth stocks when their normalized P/Es go above 25. On the other hand, when the product of a stock’s normalized P/E and its price-to book ratio is less than 22.5—Normalized P/E x (price/book) is less than 22.5—it is at least a good value. So, if a normalized P/E is below 14 and the price/book is below1.5, the stock should be attractive. Graham displayed extraordinary skill in hypothesis testing. 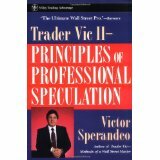 He observed the financial world through the eyes of a scientist and a classicist, someone who was trained in rhetoric and logic. Because of his training and intellect, Graham was profoundly skeptical of back-tested proofs. And methodologies that promote the belief that a certain investing approach is superior while another is inferior. His writing is full of warnings about time-period dependency….Graham argued for slicing data as many different ways as possible, across as many different periods as possible, to provide a picture that is likely to be more durable over time and out of sample. We believe that there are sound reasons for anticipating that the stock market will value corporate earnings and dividends more liberally in the future than it did before 1950. We also believe there are sound reasons for giving more weight than we have in the past to measuring current investment value in terms of the expectations of the future. But we recognize that both views lend themselves to dangerous abuses. The latter has been a cause of excessively high stock prices in past bull market. However, the danger lies not so much in the emphasis on future earnings as on a lack of standards used in relating earnings growth to current values. Without standards no rational method of value measurement is possible. Editor: Note that when Graham wrote those words (1961/62) the bond yield/stock yield ratio was changing. In the early 1940s and 1950s for example, stock dividend yields were fully twice AAA bond yields, meaning that investors were only willing to pay half as much for one dollar of stock income as they were willing to pay for one dollar of bond income. In 1958, however, stock and bond yields were equal, meaning investors were at that time willing to pay just as much for a dollar of stock income as for a dollar of bond income. And in recent years, investors have come to think so highly of equities, that they are now (March 1987) willing to pay three times as much for a dollar of stock income as they are for a dollar of bond income. The main points you should extract from this and the following posts on Graham’s discussion of growth stock investing is his thinking process. Graham was adaptable. Ironically, Graham was known for his net/net investing but he made most of his money owning GEICO. We have previously defined a growth stock as one which has increased its per-share for some time in the past at faster than the average rate and is expected to maintain this advantage for some time in the future. (For our own convenience we have defined a true growth stock as one which is expected to grow at the annual rate of at least 7.2%–which would double earnings in ten years, if maintained—but others may set the minimum rate lower.) A good past record and an unusually promising future have, of course, always been a major attraction to investors as well as speculators. In the stock markets prior to the 1920s, expected growth was subordinated in importance, as an investment factor, to financial strength and stability of dividends. In the late 1920s, growth possibilities became the leading consideration for common stock investors and speculators alike. These expectations were though to justify the extremely high multipliers reached for the most favored issues. However, no serious efforts were then made by financial analysts to work out mathematical valuations for growth stocks. The first detailed basis for such calculations appeared in 1931—after the crash—in S.E. Guild’s book, Stock Growth and Discount Tables. This approach was developed into a full-blown theory and technique in J.B. William’s work, The Theory of Investment Value, published in 1938. The book presented in detail the basic thesis that a common stock is worth the sum of all its future dividends, each discounted to its present value. Estimates of the rates for future growth must be used to develop the schedule of future dividends, and from them to calculate total recent value. In 1938 National Investor’s Corporation was the first mutual fund to dedicate itself formally to the policy of buying growth stocks, identifying them as those which had increased their earnings from the top of one business cycle to the next and which could be expected to continue to do so. During the next 15 years companies with good growth records won increasing popularity, but little effort at precise valuations of growth stocks was made. At the end of 1954 the present approach to growth valuation was initiated in an article by Clendenin and Van Cleave, entitled “Growth and Common Stock Values.” This supplied basic tables for finding the present value of future dividends, on varying assumptions as to rate and duration of growth, and also as to the discount factor. Since 1954 there has been a great outpouring of articles in the financial press—chiefly in the Financial Analysts Journal—on the subject of the mathematical valuation of growth stocks. The articles cover technical methods and formulas, applications to the Dow-Jones Industrial Average and to numerous individual issues, and also some critical appraisals of growth-stock theory and of market performance of growth stocks. In this chapter we propose: (1) to discuss in as elementary form as possible the mathematical theory of growth-stock valuation as now practiced; (2) to present a few illustrations of the application of this theory, selected from the copious literature on the subject; (3) to state our views on the dependability of this approach, and even to offer a very simple substitute for its usually complicated mathematics. An elementary-arithmetic formula for valuing future growth can easily be found if we assume that growth at a fixed rate will continue in the indefinite future. We need only subtract this fixed rate of growth from the investor’s required annual return; the remainder will give us the capitalization rate for the current dividend. This method can be illustrated by a valuation of DJIA made in a fairly early article on the subject by a leading theoretician in the field. This study assumed a permanent growth rate of 4 percent for the DJIA and an over-all investor’s return (or discount rate”) of 7 percent. On this basis the investor would require a current dividend yield of 3 percent, and this figure would determine the value of the DJIA. For assume that the dividend will increase each year by 4 percent, and hence that the market price will increase also by 4 percent. Then in any year the investor will have a 3 percent dividend return and a 4 percent market appreciation—both below the starting value—or a total of 7 percent compounded annually. The required dividend return can be converted into an equivalent multiplier of earning by assuming a standard payout rate. In this article the payout was taken at about two-thirds; hence the multiplier of earnings becomes 2/3 of 33 or 22. It is important for the student to understand why this pleasingly simple method of valuing a common stock of group of stocks had to be replaced by more complicated methods, especially in the growth stock field. It would work fairly plausibly for assumed growth rates up to say, 5 percent. The latter figure produces a required dividend return of only 2 percent, or a multiplier of 33 for current earnings, if payout is two-thirds. But when the expected growth rate is set progressively higher, the resultant valuation of dividends or earnings increases very rapidly. A 6.5% growth rate produces a multiplier of 200 for the dividend, and a growth rate of 7 percent or more makes the issue worth infinity if it pays any dividend. 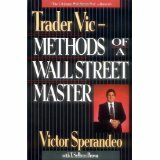 In other words, on the basis of this theory and method, no price would be too much to pay for such common stock. Since an expected growth rate of 7 percent is almost the minimum required to qualify an issue as a true “growth stock” in the estimation of many security analysts, it should be obvious that the above simplified method of valuation cannot be used in that area. If it were, every such growth stock would have infinite value. Both mathematics and prudence require that the period of high growth rate be limited to a finite—actually a fairly short—period of time. After that, the growth must be assumed either to stop entirely or to proceed at so modest a rate as to permit a fairly low multiplier of the later earnings. The standard method now employed for the valuation of growth stocks follows this prescription. Typically it assumes growth at a relatively high rate—varying greatly between companies –for a period of ten years, more or less. The growth rate thereafter is taken so low that the earnings in the tenth of other “target” year may be valued by the simple method previously described. The target-year valuation is then discounted to present worth, as are the dividends to be received during the earlier period. The two components are then added to give the desired value. Present value of tenth year’s market price: The tenth year’s earnings will be $2, their market price 27, and its present value 48 percent of 27, or about $13. Present value of next ten years’ dividends: These will begin at 60 cents, increase to $1.20, average about 90 cents, aggregate about $9, and be subject to a present-worth factor of some 70 percent –for an average waiting period of five years. The dividend component is thus worth presently about $6.30. Total present value and multiplier: Components A and B add up to about $19.30, or a multiplier of 19.3 for the current earnings. Molodovsky here assume a “long-term earning level” of only $25 for the unit in 1959, against the actual figure of $34. His multiplier of 22 produced a valuation of 550. Later he was to change his method in significant ways, which we discuss below. Molodovsky’s later adopted this rate in place of his earlier 7 percent, having found that 7.5% per year was the average over-all realization by common-stock owners between 1871 and 1959. It was made up of a 5 percent average dividend return and a compounded annual growth rate of about 2.5% percent in earnings, dividends, and market price. Part 2: Valuation of DJIA in 1961 by This Method…….stay tuned. Bernanke and other Fed officials say that the Fed will be able to contain the outflow of reserves into the economy and thereby limit wage-price pressures by raising the rate of interest it pays on excess reserves. But Plosser said the interest rates on excess reserves (“IOER”) and reserve draining tools cannot be relied upon. The Fed’s problem: If those funds start to move out of excess reserves and into the economy rapidly, the Fed will have to take counter measures, such as boosting interest rates on excess reserves (IOER) or liquidating some of their mortgage-backed securities. Plosser is entirely correct, no one knows how high interest rates will have to be raised to stop the flow into the economy. It could very well end up a tiger by the tail situation, the higher the Fed boosts rates, the higher nominal rates climb (Sort of the reverse of what is going on now. You as an investor need to watch to see if the Fed’s new money printing of $40 billion per month ends up in the system (through bank loans) or as excess reserves. Further, excess reserves themselves have to be monitored to see if any of those funds start to enter the system. In other words, if any increases in required reserves occur, it could result in an Artificial boom to the stock market and economy, but also be price inflationary. Since writing The Triumph of Politics he says he has “completed his homework” by reading libertarian economists such as Ludwig von Mises, Friedrich Hayek, and Murray Rothbard. He thinks TARP was a big-government boondoggle and the bailouts of GM and Chrysler unconscionable. Stimulus spending is a hoax. He sees the abandonment of the gold standard in favor of floating exchange rates as the root cause of both the country’s fiscal problems and the 2008 financial crisis. He says that Rep. Ron Paul (R-Texas) is the only politician today “who gets it” and he’s hopeful that Paul’s growing power may begin to shed light on “the scholastic arrogance” of the Federal Reserve. He’s still against the welfare-warfare state and he thinks government should be cut down to size. Stockman, “The Bernanke doesn’t have a clue as to why our economy has been failing. The reason it has failed, 130 million payroll jobs today is the same as 1999. So after 13 years of serial booms and busts we haven’t added one job! It has offered free money to Wall Street over and over. A massive speculation. These actions will bring the chaos of booms and busts. We need a fundamental change of policy. Extract the Fed from the group of WS. Special interests who provide windfall gains to a small circle of cronies while the rest of the middle class and poor struggle with the mess that we have. A lecture by David Stockman on Sound Money: http://youtu.be/CAkdB-2qFHY (65 minutes). Stockman quote: “Two party free lunch competition” He hits the insiders of both the Republican and Democratic parties equally hard. Another dissertation on crony capitalism. Confidence in the Fed: http://youtu.be/R5lZPWNFizQ Alan Greenspan critiquing his devastating policies. This video is particularly relevant today given the rapid monetary growth from our Federal Reserve. Yes, we want to invest from the bottoms up but never ignore current conditions.